Hello there friends, family, and loved ones this is Vern Tejas reporting in for Team Climb For A Smile. Today was a good one. We really appreciate your prayers and your best wishes. We had calm conditions for the first time in about five days. 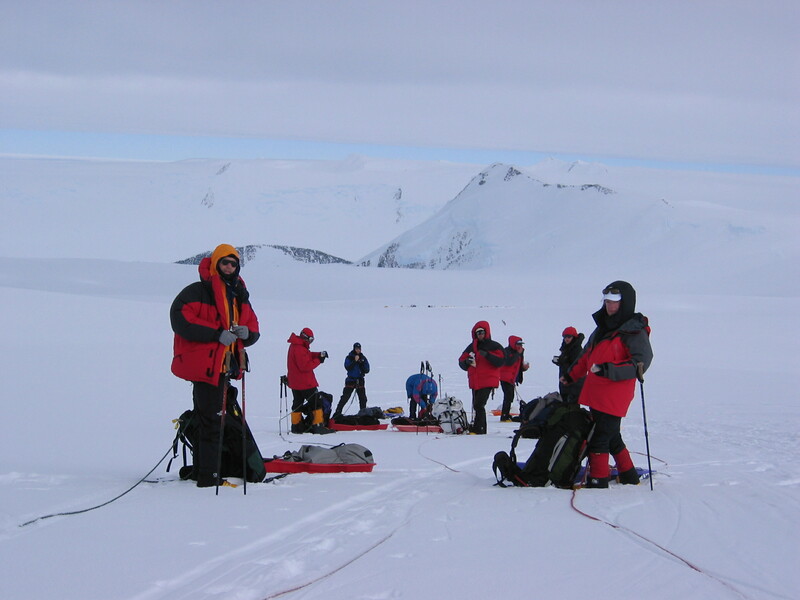 And we were able to push not only ourselves up to High Camp, but we were able to grab our cache that we had made of depot items that we need up here, so we’ve got everything at High Camp: food, fuel, all of our heavy Antarctic equipment, and butter, very important, and butter. So we’ve got butter and everything’s better with butter, I hope you remember that. We’re now camping at about 12,300 feet above sea level. It’s a beautiful evening. The sun’s just going down behind the rocks. It’s 10:38pm; we’ve got probably about another 30-40 minutes of sunshine before it goes behind the rocks, which will officially make it very cold and very nighttime. So we’re going to jump in our bags here shortly and try to get a full night’s sleep before we take a look at the morning. We have a bad weather report for Sunday, so Saturday might be our only window of opportunity. And if everybody feels good and the weather looks reasonable, we’re going to see if we can push up. So stay tuned, find out how that works out. Bye bye for now!